Steve Leach was born in Colorado and began painting and drawing at age eight. He spent his summers as a boy taking private art lessons during his stays with his grandparents in Rockport, Texas. He visited many galleries and participated in art workshops and painted Rockport beach seascapes and shrimp boats. After graduating from high school, Steve studied art at Southern Methodist University. He worked as a commercial artist for many years before he began his full-time career as a fine artist. Steve has been painting professionally for 30 years. His oil portraits, art paintings and print reproductions have been sold throughout the United States and all over the world. Professional athletes, celebrity personalities, as well as business and civic leaders have commissioned his portraits and drawings. Steve’s oil paintings and portraits have been featured in art galleries across Texas and the country as well as one-man gallery shows in Las Colinas in the Caltex Oil Art Gallery and other gallery showings in North Dallas. Steve had the honor of being chosen to paint a portrait of all of the children who are the Cancer Ambassadors for the “Weekend To Wipe Out Cancer” event. 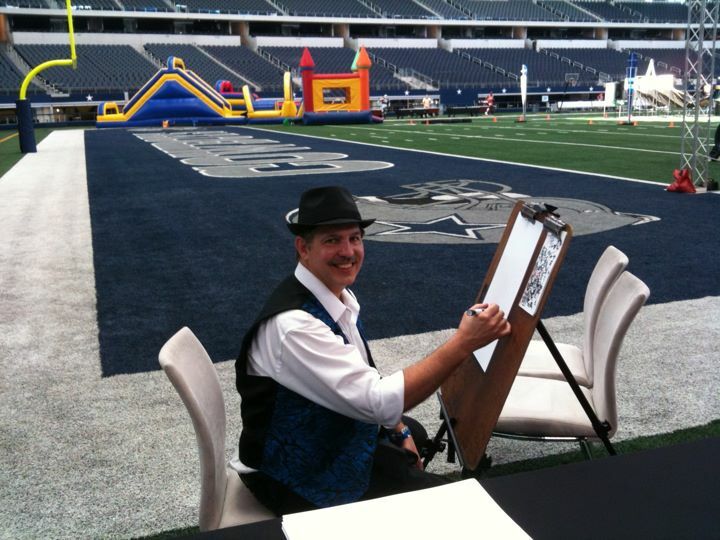 Steve and the portrait were featured in a press conference during a charity football game between The Dallas Cowboys and The Washington Redskins prime players. During halftime, Steve presented the portrait to the Chief Oncologist on the field at Cowboy Stadium in front of thousands of people. The portrait now hangs at Children’s Hospital in Dallas. 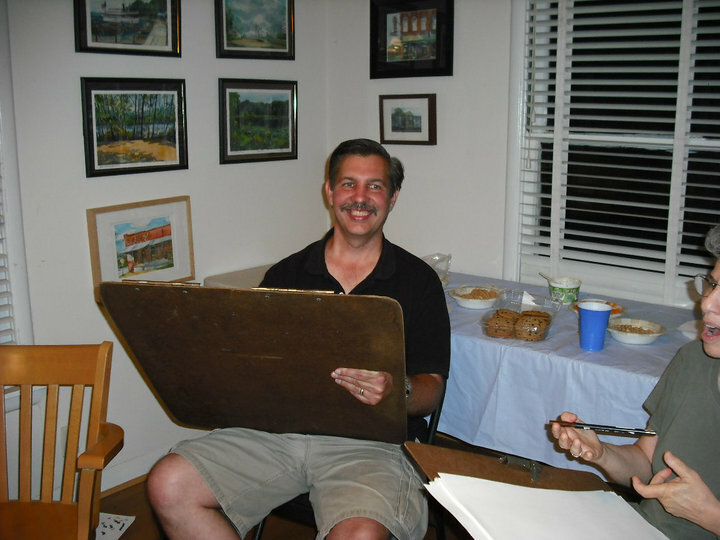 As an artist, Steve has also found a love for all types of illustration, political cartoons, storyboard illustration and humorous cartoon caricature drawings. One of Steve’s early jobs was a full time position drawing caricatures at Six Flags Over Texas. This is where he developed his skill as a caricature artist. Today, Steve entertains at all types of functions and has been for the past 30 years, including company parties; recreational parks; grand openings; trade shows; birthday, anniversary and graduation parties; class reunions; bar mitzvahs; and many other activities for both private individuals and corporations. Steve Leach can be contacted at his studio in Dallas, Texas at 214-500-9500. Call on him to be an entertaining complement to your event; or to be the artist who creates an unforgettable heirloom quality portrait for your family or organization. © 2013, Steve Leach. All Rights Reserved. All images copyrighted.